Topic: Fun Night – Sunday August 23rd | Video Games AWESOME! This topic contains 45 replies, has 17 voices, and was last updated by retromike 3 years, 8 months ago. On August 23rd we will be playing TF2Ware! There will be 2 sessions, both 2 hours long. This topic was modified 4 years, 8 months ago by gangstahwezel. This topic was modified 3 years, 12 months ago by gangstahwezel. This topic was modified 3 years, 8 months ago by gangstahwezel. Haven’t played TF2 that much for a while…it lacks fun, so a fun night would be cool. I promise that I will organize another fun night as soon as my school work clears out a bit. If I may put forth a suggestion for a potential fun night. Back in the day when fun nights weren’t a planned thing and the turbo server was about a year or so into its time I suggested on a whim that we all go into a map as our worst classes. Not many people did as it was not an official thing but we had fun with it and I think it could be neat to see all the VGA TF2 regulars thrown out of there comfort zones. I can not wait for tomorrow. I hope there will me second session but ill be there for the fist one. I don’t see myself joining the fun night. I’m still awake, which means I usually don’t wake up til the fun nights are over with. WAH HA HA! Hello losers! It’s-a me! WARIO! I… err… “Borrowed” Gangstah’s account so I can announce a new TF2 Fun Night. Made by ME! And it’s gonna be the best! It’s-a called “TF2Ware”. If you’ve played my other games, then you are awesome! And know what type of game it will be! 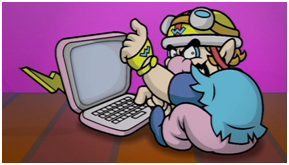 If you haven’t, then stop reading this and go play my WarioWare games! HAHA! They’ll be two sessions on Sunday August 23rd, so you’ll have NO excuse to miss my awesome TF2 Fun Night sponsored by WarioWare! Trust me, it’s better than any other game you’re gonna play! I gotta go before Gangstah finds me. He’s a really smelly grump! WAH HAHA! Smell you later! And have fun! WAH! Proud owner of WarioWare, Inc.
More info will be added to the main post. I don’t participate much in the community, but I’m planning on making it to TF2 fun nights! This’ll be fun! I can not wait this will be so fun. I’m glad you guys are doing another one. That was some of the most fun I’ve had in TF2! Thanks to gangstahwezel and RetroMike for setting it up and doing an awesome job! Agreed. Best fun night ever! The topic ‘Fun Night – Sunday August 23rd’ is closed to new replies.